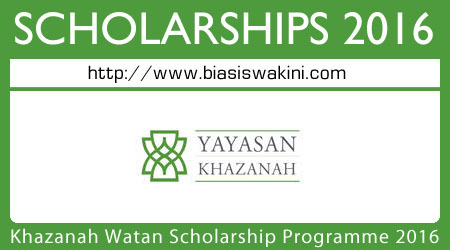 The Khazanah Watan Scholarship 2016 is a prestigious award that offers opportunities for talented and high-achieving Malaysians to pursue Undergraduate and Postgraduate studies at selected leading local universities. – To train Malaysia’s brightest talents to transform its GLCs into competitive business locally and internationally. – To encourage individuals with excellent academic credentials to lead and participate in research initiatives that will contribute to the advancement of the universities’ reputation in research and innovation.